violin technique. In his instrumental works he naturally favored the violin. He wrote the majority of his sonatas for one or two violins and thorough-bass. Of his concertos, 221 are for solo violin and orchestra. Other concertos are for a variety of solo instruments, including the flute, the clarinet, the trumpet, and the mandolin. 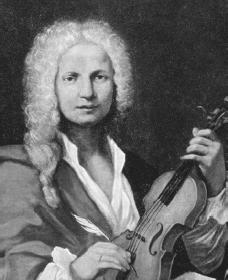 He also wrote concertos for several solo instruments, concerti grossi, and concertos for full orchestra. The concerto grosso features a small group of solo players, set against the full orchestra. The concerto for orchestra features differences of style rather than differences of instruments. I saw an error in this biography: "He went, among other places, to Vienna, Italy"
It should be "Vienna, Austria"
Elizabeth is right, it should be "Vienna, Austria", just sayin. There is a mistake it should be Vienna, Austria instead of Vienna, Italy. Everyone is right. Please fix this so you are not supplying people with false information.